Narrator: You unlock this door with the key of imagination. Beyond it is another dimension - a dimension of sound, a dimension of sight, a dimension of mind. You're moving into a land of both shadow and substance, of things and ideas. You've just crossed over into the Twilight Zone. Kenny: All you had to do was want me. Carol Shelton: [Now realizing that Kenny is the child she would have had if she had chosen marriage instead of a career] But I do. I love you, Kenny. It's just that sometimes you have to make a choice. Kenny: Why couldn't you choose me? Carol Shelton: But I will someday. I just can't right now. Kenny: You can have a little boy someday, and you can name him Kenny - but he won't be me. Narrator: [opening narration] What you have just looked at takes place three hundred feet underground, beneath the basement of a New York City skyscraper. It's owned and lived in by one Paul Radin. Mr. Radin is rich, eccentric and single-minded. 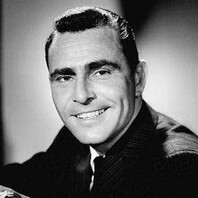 How rich we can already perceive; how eccentric and single-minded we shall see in a moment, because all of you have just entered the Twilight Zone. Narrator: [opening narration] Nathan Edward Bledsoe, of the Bowery Bledsoes, a man once, a spectre now. One of those myriad modern-day ghosts that haunt the reeking nights of the city in search of a flop, a handout, a glass of forgetfulness. Nate doesn't know it, but his search is about to end, because those shiny new shoes are going to carry him into the capital of the Twilight Zone.